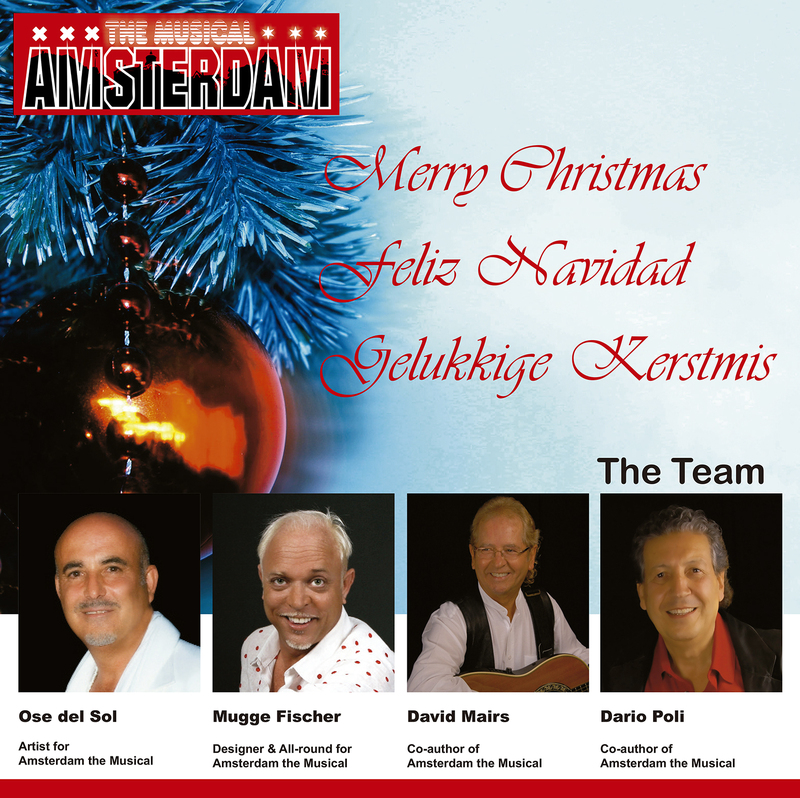 Christmas Greetings from Dario Poli of Marbella Marbella and the Team of Amsterdam the Musical | Marbella Marbella – Adelante! Merry, Healthy and Happy Xmas and a Superb New Year. 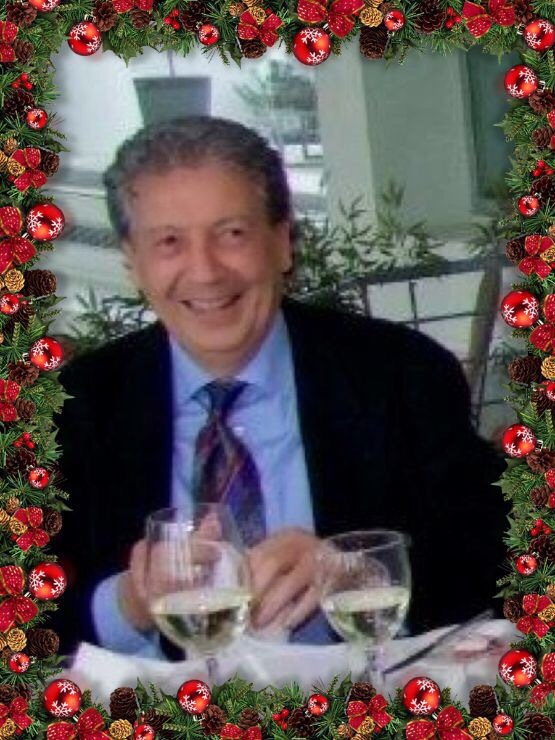 I would like to take this festive opportunity on behalf of myself and Simon Schönbeck, to thank all our visitors, supporters and wonderful, talented contributors such as designers/ artists Mugge Fischer and Ose del Sol from Artenovum, who have worked and given their time and expertise, to support the “Marbella Marbella website”, that was originally set up by volunteers, to help promote Marbella in a more positive light during its most difficult days. Since then we have grown in experience and content and have a network of visitors and fans from many countries who support us in differing ways. We warmly thank them all and hope that one day, they will come and visit Marbella and the Costa del Sol and see what a wonderful land and fascinating culture we live in. Dario Poli. Besides the storyline, the lyrics and music David Mairs and I have been creating for Amsterdam the Musical, we were also invited By Florence Olara, to compose a new song especially for the newly founded Peace Justice and Security Foundation in the Hague. We were honoured to create this composition titled “Ever Changing World” that following the songs completion, was produced and recorded, by renowned British musician/ composer David Redston and his talented son Joe, from Ready Made Theatres in the UK. To top it all, we were then invited to attend the Inaugural Gala held in the Hague on the 5th September of this year and enjoyed the experience immensely meeting celebrities, Sharon Stone, Mary Aiken, Katia Riemann, Philipp Amann, Supriya Vani, Rutger Hauer, Walter van Teeffelen, Carolien de Bree, Joe Redston and many dignitaries, High Commissioner Zeid Ra’ad Al Hussein, President Fernandez of the ICC, Director of Europol Rob Wainwright, Professor Dr. Mary Aiken, and Dr. Marco Gercke and supported by Cinema for Peace, who made incredible speeches on Human Right issues. Marbella Marbella Contributors: Simon Schönbeck, Ernst Kraft, Walter van Teeffelen, Carolien de Bree, Ash Bolton, AJ Linn, Chris Dove, Sandy Mellule, David Jeffrey Mairs, Peter Stanway, Mugge Fischer, Ellen Verhagen, Caroline Cary, Nick Holland-Morgan, Shahed Kavousi, Eric Holzhauer, Ettori Bossi, Marga De Jong, Auli Suvanto-Salokannel, Colette Hall, James Lavott, Patricia Mary Coleman, Jeroen Van Veen, Annette Conrad, Roberto Danova, John Grimmett, Doris Kavcic Hirsch, Maria Kuipers, Stephen Lloyd-Mor­gan, Nael George Marar, Sandy Mellule, Gunila Pedersen, Maria Petrak, Dario Poli, Inge E. Rinkhoff, Ose del Sol, Mike Al-Amiry, Christopher Stone, Redline Company, Diane Sutton, Maria Testa.